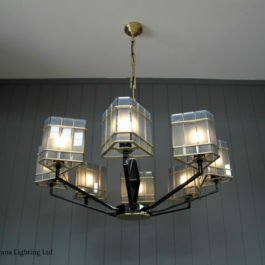 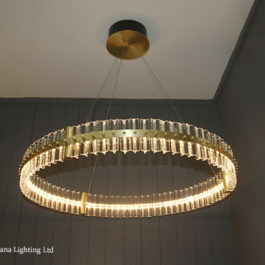 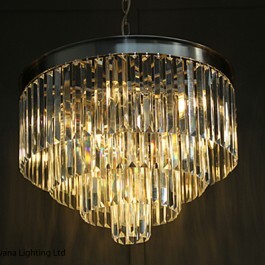 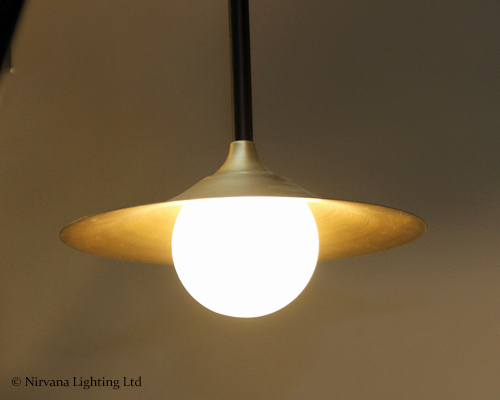 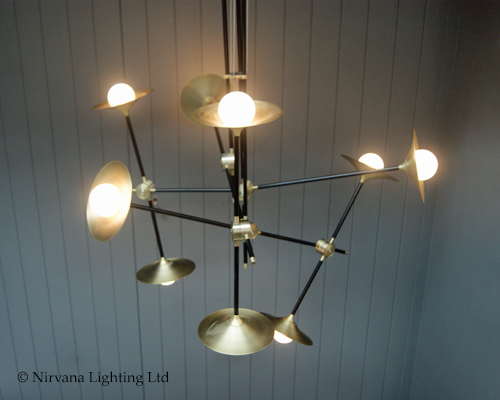 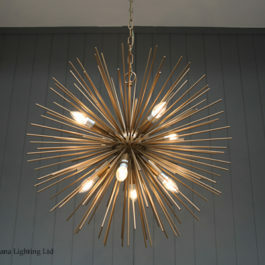 Description: The Lancaster 9 light black gold pendant light. 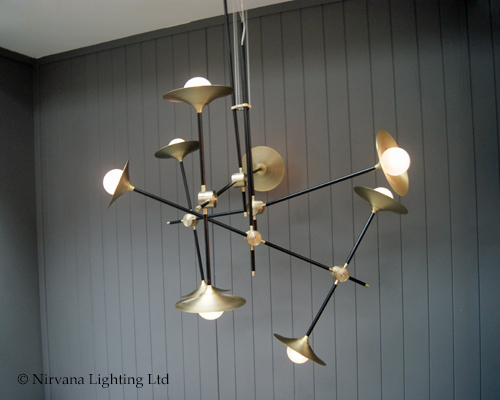 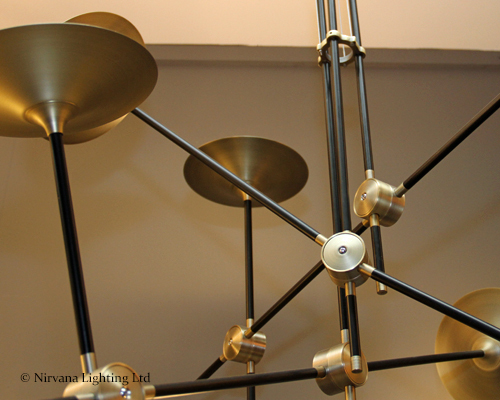 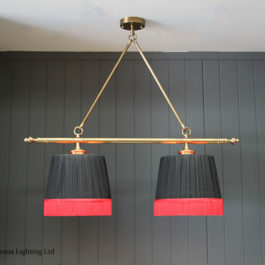 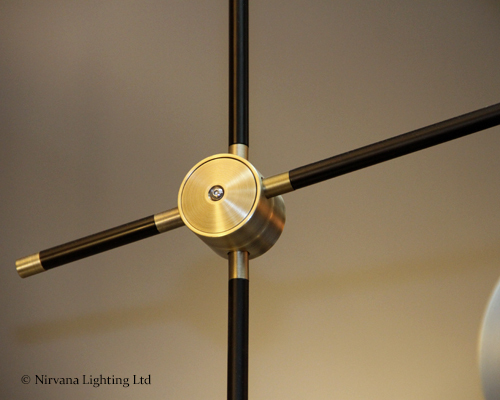 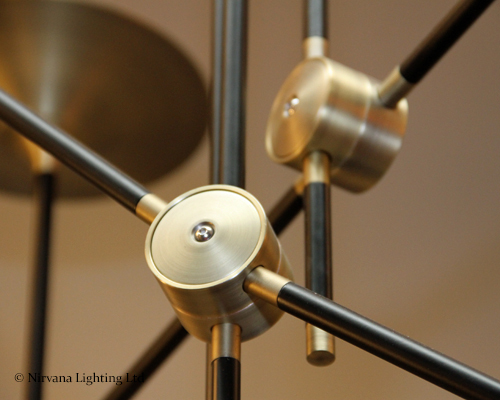 A geometric shaped pendant with a light antique brass & matt black metal finish. 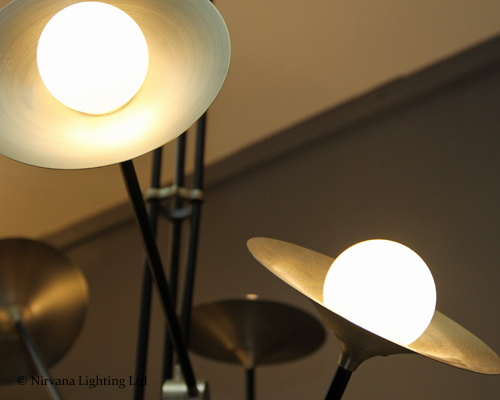 Small frosted glass globes cover the G9 bulbs.